It's Friday and that means time for some fragments, tid bits that have made up this week. 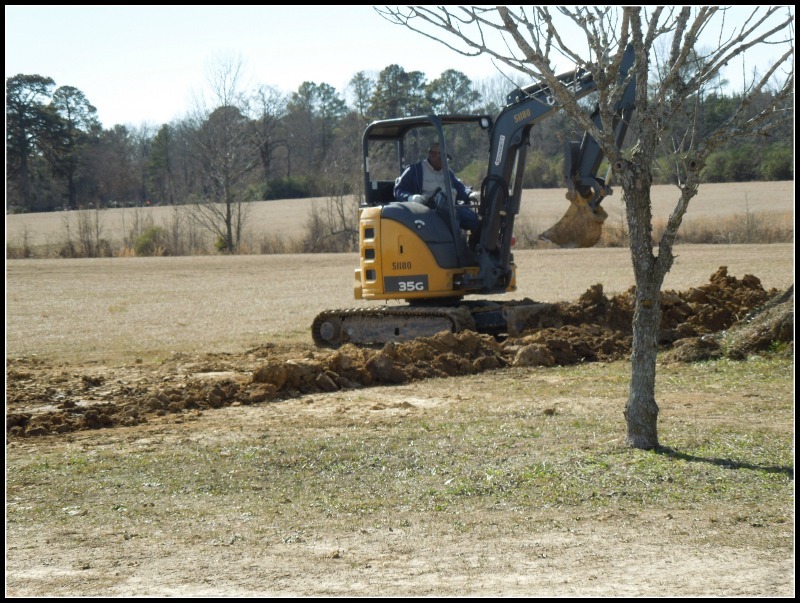 And, since we are "knee deep and rising" in the construction of our new house, and awaiting the arrival of Andi Kate, that will pretty much be the subjects of my fragments this Friday as I join up with Mrs. 4444. 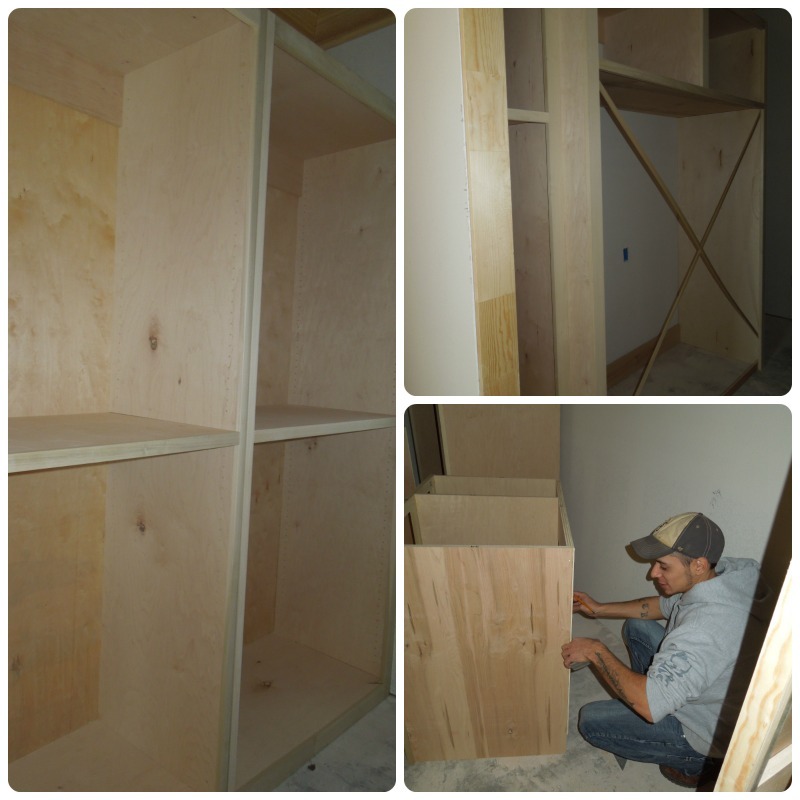 We've had carpenters, brick layers, cabinet folks, concrete trucks, gas line folks all at the site this week. So many things are happening it's hard to keep up with all of it. But, each day it is looking more like a home and hopefully in about 3+ more months we will be moving in. 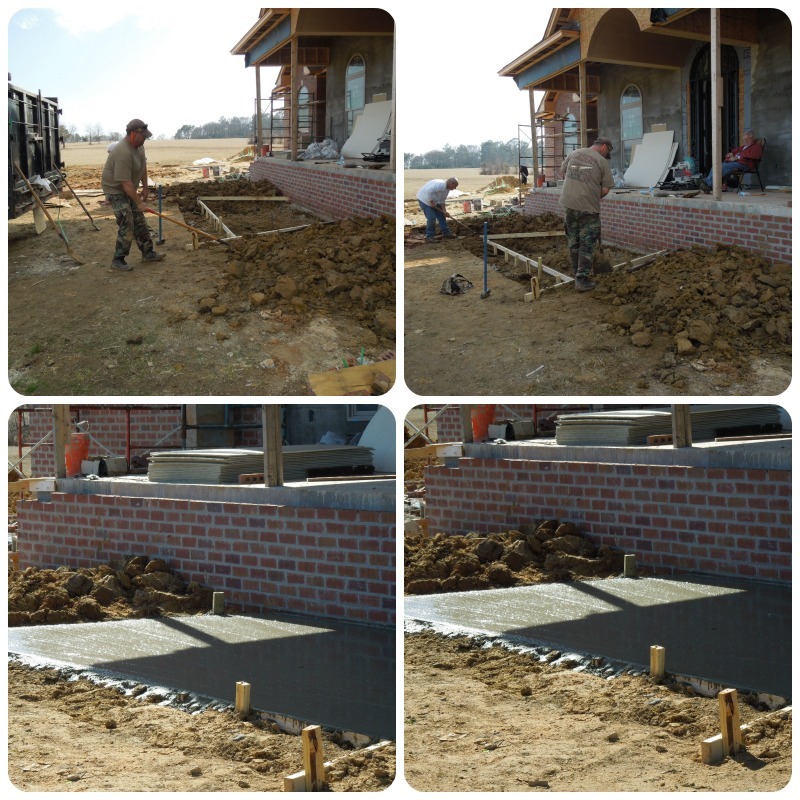 We had almost a week of beautiful weather and during that time the guys were able to build the forms for all the steps, front porch, back porch and outside entrance to garage. And, they had the concrete poured and now the brick layer can go ahead and work on them as soon as he finishes the house. He is just about finished, it has been 8 weeks ago today that he started the brick. He has had to deal with bad weather, holidays and workers that didn't show to help him. But, the end is in site. I look forward to having the mess cleaned up that laying brick causes. In fact, just about everything to do with building a house is messy, especially on the outside. The inside of the house has been kept really clean and really will be now that painting will be beginning within the next week. The gas line was run to the house this week. The only gas that we will be having will be gas logs, but we did have gas run to the kitchen as well. I do not care for gas stoves but, in the future, someone could have a gas stove. If you remember I mentioned that there would be a "bonus room" above the garage and would really serve no purpose for us. Well, that has changed! After the holidays and having a whole lot of company staying with us, I decided that it might be really nice to make that area a "guest suite." I mentioned it to Hubby and he agreed and he talked with the contractor to see about the plumbing and such and it was completely doable, so they are hard at work extending the wall to the ceiling coming up the stairs and adding a bathroom. It's hard to tell from the picture above, but it is going to be a very nice area and very private for any guests that stay there. Someone said we might want to open a "bed and breakfast." ~smile~ We will have two guest bedrooms in the main house but if, in the event, we have as many folks staying with us as we did over the holidays, everyone will have much more privacy this way. When our DIL saw the Dr. this week she told her that she thought our little Andi Kate might come within two weeks. Her due date isn't until Feb. 15th, which is 3 weeks from this Sunday. And, we all know that a due date is just that, a due date. Windy received these adorable gifts from a dear friend of mine in Arkansas a few days ago. Isn't that gown something else? And, it is monogrammed! And, those sweet little lambs will make the best "lovies" for our baby girl. The time is definitely drawing neigh. There's almost too much excitement in our family right now. I'm just hanging on for dear life! Oh soo much excitement that's for sure. The house is coming right along...soo beautiful it's going to be. What a perfect idea for over the garage. Melody and her hubby are going over plans for the house they intend to build in another year and they intend to have to do the same thing. A little place set aside for when we come to stay where we will be away a little bit from the main part of the house and have a little bathroom etc. Such a good idea. Though they will not have two guests rooms as well,. lol. Those they will fill with kids. I love it when the time draws near for baby. It's soo exciting. Such cute things. Yep, lots of excitement over there....enjoy! So much excitement for you right now ... but that sweet little girl who's on her way has got to be the best. So glad you added gas to the kitchen. I don't where I would be without a gas stove. Actually I even have a gas dryer as well as a gas BBQ and furnace. Electricity is so expensive here. The house is coming along! Sounds like Andi Kate is in a hurry to meet you! Good luck! Can't wait to see that little guest room decorated...I sense it will be very inviting! That gown for Andi Kate is so adorable, I'm sure there will be photos of her in that ! Hi Lea, Love seeing the progress of you house-how exciting to see how each day brings you closer. You are right about due dates-when I was pregnant with my second daughter and having a c-section, her due date was Jan. 7th, so my dr. planned a Dec. 31 delivery date except my girl had other ideas and was born on Christmas. It's good to have options like gas planned ahead. Of course more options means more money. My dad was a home builder and my brother, a carpenter. I didn't follow that career but seeing sites like your pictures reminds of days when I helped my dad as a kid. It looks like your house is really coming along well. I remember how exciting building a house, although it's been over 18 years ago. Have fun! And that little pink gown is adorable. We have a bonus room, too. In it, we have a bunk bed, futon, regular chair and automan, two LoveSacs (Google it) and a tv w game system. It's always been a room for the kids to hang out in with their friends but also doubles as a guest room. You'll be glad you finished it! Here's to a a speedy, uneventful delivery for baby Andi Kate! 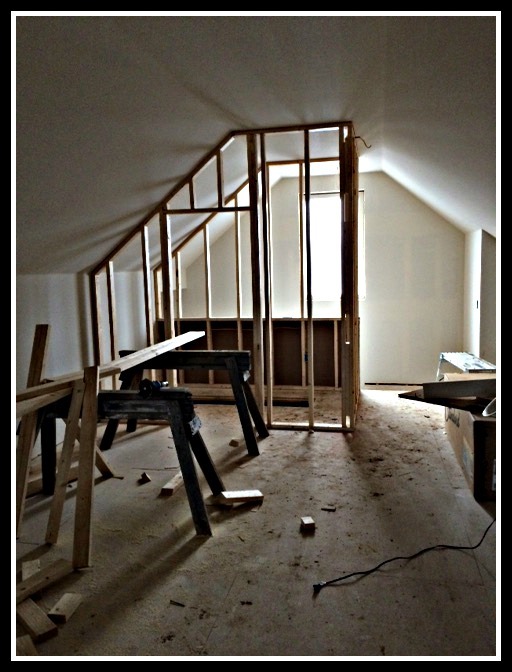 How exciting to see the progress of your home! And I love the idea of having that guest suite. Those gifts are so precious and cute! How exciting to have a baby coming. I think the idea of a guest suite is awesome. Your house is shaping up nicely! So exciting that the baby is going to be here soon! How exciting on both accounts! Nothing like those grandbabies! I think you will be happy that you chose to do the guest suite. Who knows all the people that will be blessed by staying there and experiencing your gracious, southern hospitality. The sweet little pink gown and lambs, were a beautiful gift! I am sure your heart is overflowing right now. Love the peek into your house! Thank you for linking up to The Weekend Brew.